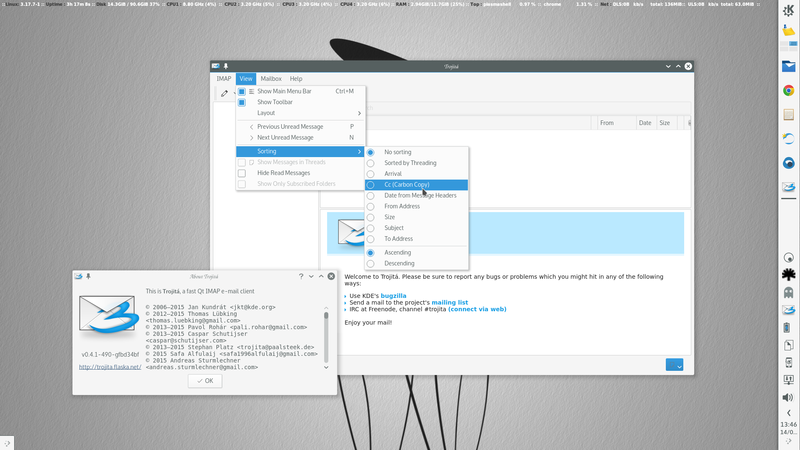 KaOS-kf5-2015.01.15 is a first ISO were it looks like kf5 is getting to a point were it might be ready to replace KDE 4 within a month or so. That is why a first ever announcing of a not stable release ISO in the News. With this post, hopefully two things will be accomplished. First, by announcing to a wider audience more testing might happen. That would show if more new and possible show-stopper bugs are present. Second, by releasing a very complete, fully Plasma 5 based ISO feedback might come for a general opinion on whether kf5 is now ready to replace KDE 4. One thing KaOS has done quite different from most/all other distributions who are in the process of moving to kf5 is from the start the choice was made not to mix the two Desktops. 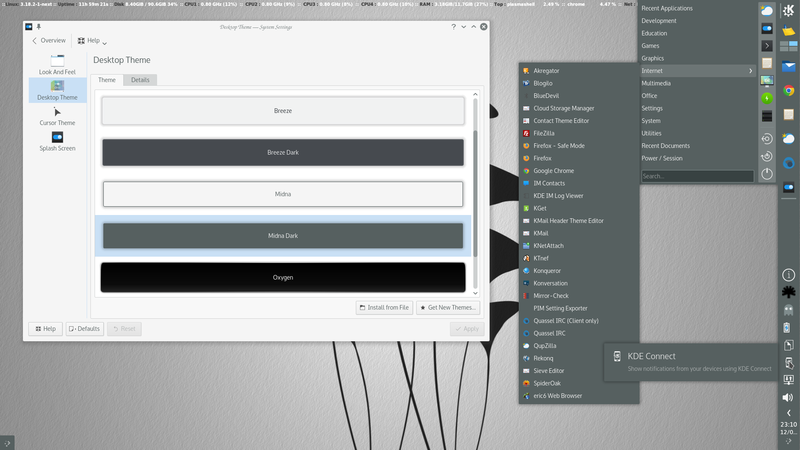 It was never planned to use kf5 on top of KDE 4 based applications. 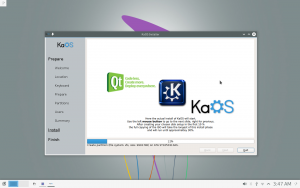 Once Frameworks 5, Plasma 5 and KDE Applications kf5 based are deemed ready for stable, all of KDE 4 will be removed from the repositories, and KaOS will go back on focusing again on one Desktop Environment only. This ISO contains the stable release of frameworks 5.6.0 packages, plasma 5.2.0 based packages, KDE Applications 14.12.1 based and for all applications that do not have a stable kf5 release yet, but are in various stages of being ported, git builds of such packages are included. Examples of those that do not have a stable release yet but are included, are Dolphin, Digikam, Kdenlive, Marble, Ark, Kmix, the whole kde-telepathy group, Kget and Kompare. Two complete Look & Feel packages made for KaOS kf5 are available, Midna & Midna-dark, where Midna is default at this stage. This ISO is not just for showing kf5 though, the new installer Calamares has had a good thirty bug fixes since the last stable ISO from December. New features are also implemented, this includes having a slideshow during the install and for UEFI installs, finding other installed Operating Systems that did use UEFI-GRUB. Remember, KaOS ISOs are NOT compatible with unetbootin, and for DVDs, no write speed higher then 4x.